The Best Advent Calendars of 2018For both Grown Ups and Kids! 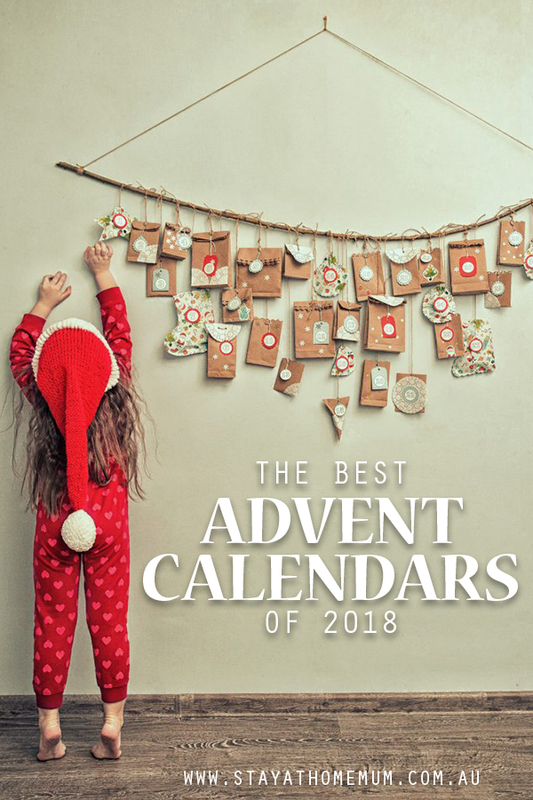 We have an assorted range of the BEST Advent Calendars 2018 has to offer!! I’m absolutely loving the fact that there are so many for grown-ups now as they make a fantastic Christmas gift! 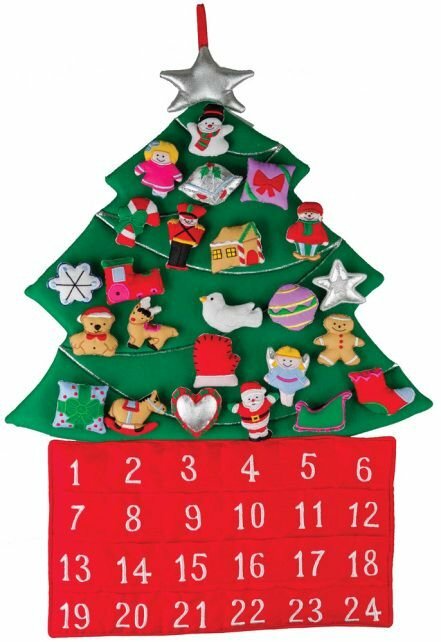 This beautifully crafted kids fabric advent calendar in the shape of a Christmas tree contains 24 pockets filled with little-stuffed toy figures. Each day a little toy figure is removed from the numbered advent pocket to attach to and decorate the fabric Christmas tree. 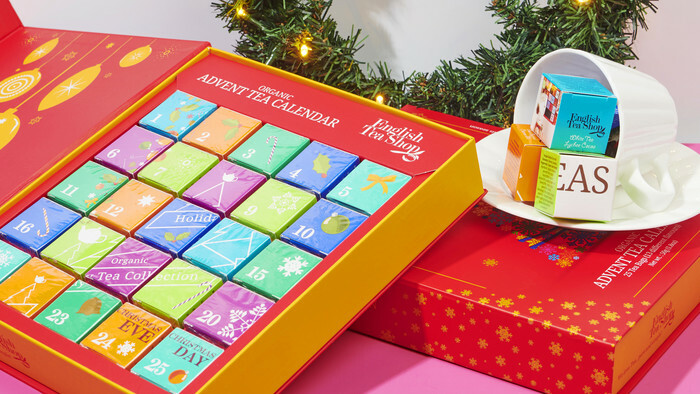 We all love Smiggle, now they have their very own Advent Calendar, but you won’t find chocolate behind the hidden doors, instead, it comes with Smiggle Stationery Prizes! Countdown to Christmas with the Lego Star Wars Advent Calendar! 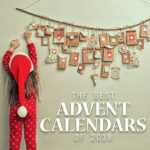 This 2018 Advent Calendar has 25 ‘slots’ (one for each day in December) with each containing a Lego Minifigure, starship, vehicle or other Lego collectible. Once all 25 slots have been opened, the whole box opens up to present a foldout playmat so kids can play out their epic Star Wars adventures. 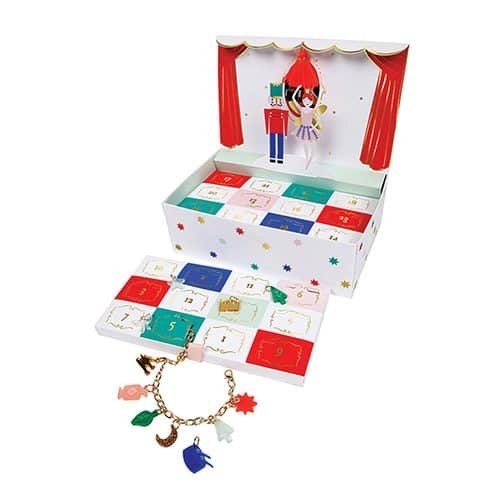 This gorgeous music box shaped advent calendar starts on day 1 with the Charm bracelet as the first gift. Each day a little window is opened to reveal a new Christmas-themed charm that can be added to the charm bracelet. 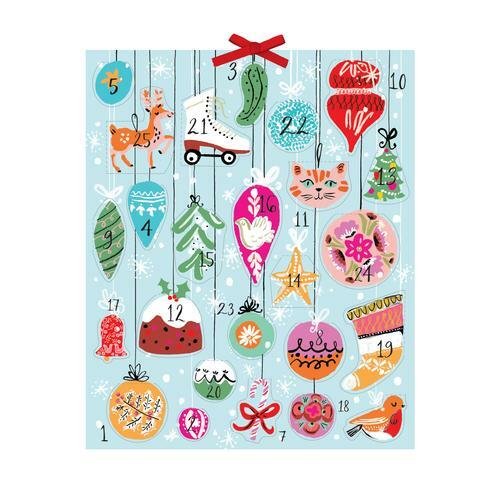 The Twinkle & Shine Advent Calendar from Angus & Robertson has 25 ornaments with each containing facts about holiday traditions from around the world. 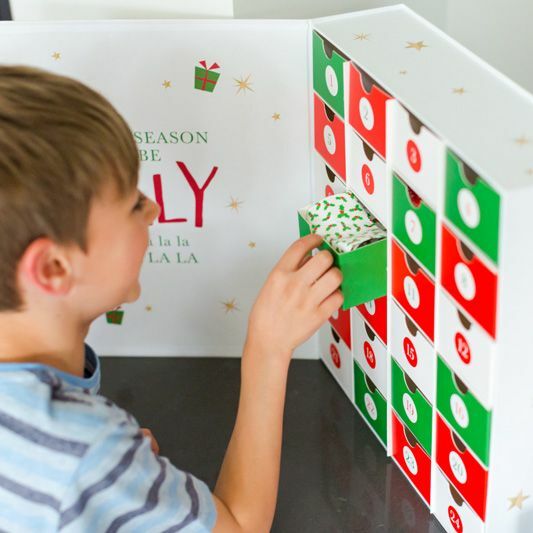 Start a fun family tradition with this beautiful re-usable keepsake advent calendar. We love the really large drawers to fit gifts in for the whole family. The Lego City Advent Calendar has 24 different gifts, one for each day of the holiday season including a space shuttle, race car, drone, robot, Christmas Tree, monster truck and loads more! 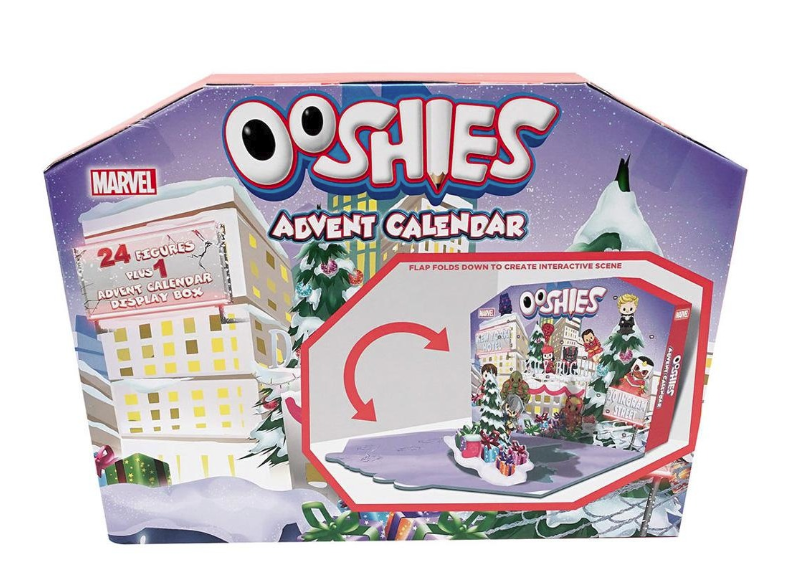 The Ooshies Marvel Advent Calendar contains 25 assorted pieces of Ooshie Marvel Characters including 12 exclusive Ooshies! The Playmobil Santa’s Workshop Advent Calendar has 24 boxes to count down to Christmas. Each box contains a wonderful scene with Father Christmas and his elves helping load the sleigh with toys. 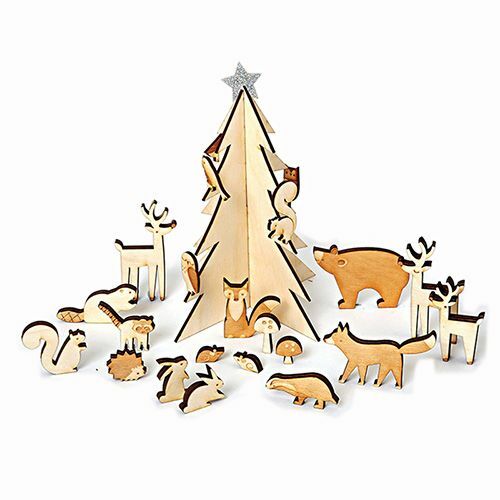 This beautifully crafted wooden advent calendar contains 24 doors with wooden pieces to build a wooden Christmas tree surrounded by little wooden animals. 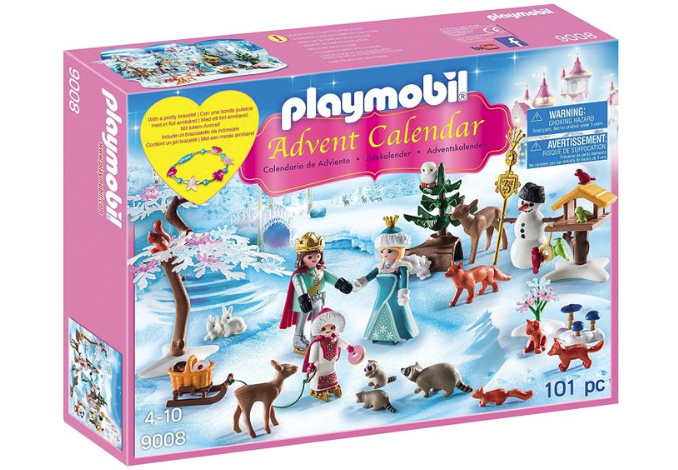 The Playmobile Royal Ice Skating Trip Advent Calendar is the perfect way to count down to Christmas. The magical scene is set for the King and Queen to enjoy ice skating int he forest. Many of the forest animals have come out to see the royal couple glide across the pond. A great way for you to trial all the best selling Ethique products. 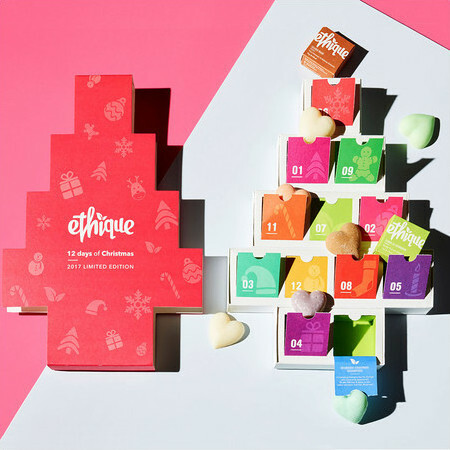 This Advent Calendar contains 12 mini-versions of the best-selling brand Ethique. Each bar is packed full of vegan, cruelty-free and sustainably sourced goodness! Let your festive season begin in the most enticing way with the 12 Days of Crabtree & Evelyn Advent Calendar Gift Set. Each of these gifts is florally and botanically infused hand therapy treats. The ultimate in beauty product treats coming up to Christmas Day. This Beauty Advent Calendar by Asos features products for hair, skin and face. It includes cult products such as the Sand & Sky Australian Pink Clay Mask (but I don’t want to give too much away!). This gorgeous beauty Advent Calendar from Adore Beauty has London’s must-have products. It contains Retexturing Face Primer, Invisible Waterproof Lip Liner, Guava Waterproof Lip Linder, Mink Pink Liquid Lipstick, Shimmer Palette, Illuminator Glow, Strobing Stick, Blusher Brush, Fan Brush, EVO Brush, Silk Lashes, Makeup Bag. For the over 18, this is perfect for the Whisky drinker in the family (who doesn’t love a stiff drink over Christmas!). They are taking pre-orders now and they will be shipped around mid to late October. 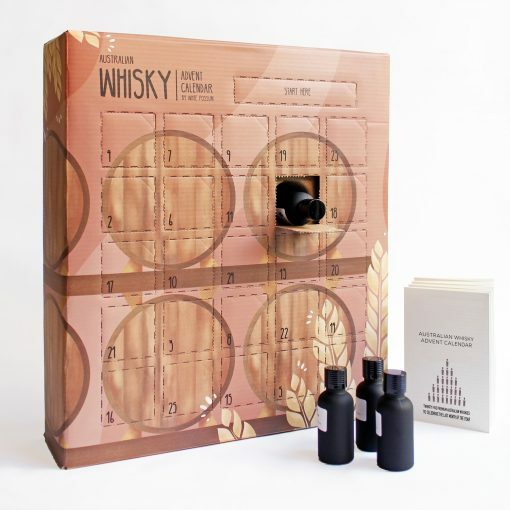 The Whisky Advent Calendar has 25 Australian whiskies, all handmade by distilleries all over the country. The bottles are 30ml and are presented in a signature black matte glass bottle. 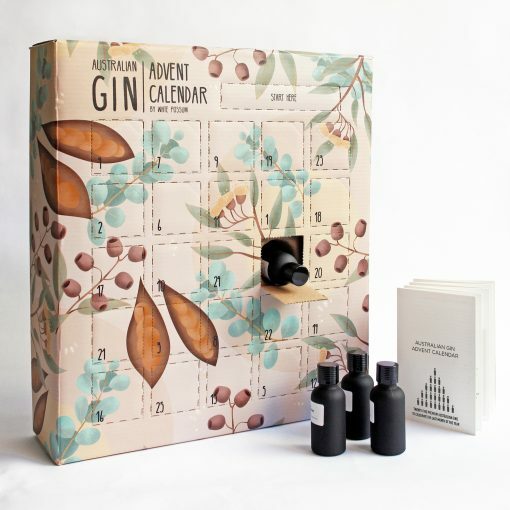 Produced by ‘White Possum’, this is their second annual Gin Advent Calendar. It contains 25 Australian gins, produced by distilleries in every state of Australia (including the ACT). The calendar also has a tasting booklet featuring interesting facts about the featured distillery for that day. Ohhhh wine – every day for December. 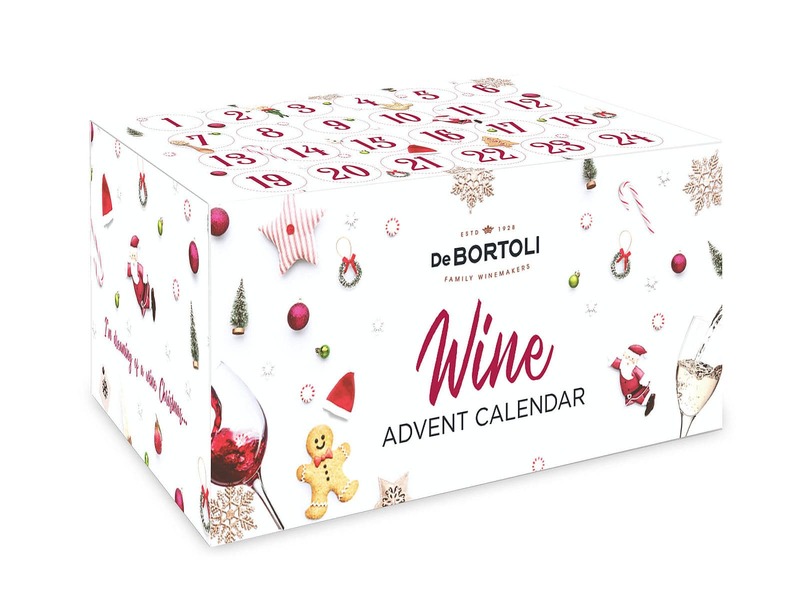 This De Bortoli Wine Advent Calendar has mini-wines that are perfect for the Christmas Season or makes for a great gift for the booze hound in your life! It features wines from Windy Peak, Emeri sparkling wines and their new Rose Rose. Featuring 100% Australian Independent Breweries and Exclusive Beers brewed specifically for this Advent Calendar. It contains 25 beers including one to drink on Christmas Day. Contains over $160.00 worth of beer in a festive box designed to get you into the Christmas Spirit. A delicious Organic tea for each day in December. Tea flavours include White Tea Lychee Cocoa, Post Festival Cleanse Me, Chai Immune Boost, Energise Me for Holiday, Unwind me for the Season, Peppermint Melon, Moroccan Spice, Oolong Lemon Raspberry, Christmas Cake, Coconut Chia, Black Tea with Honey & Melon, White Tea Coconut & Passionfruit, Candy Cane. All tea is certified organic, Non-GMO and sustainably produced. 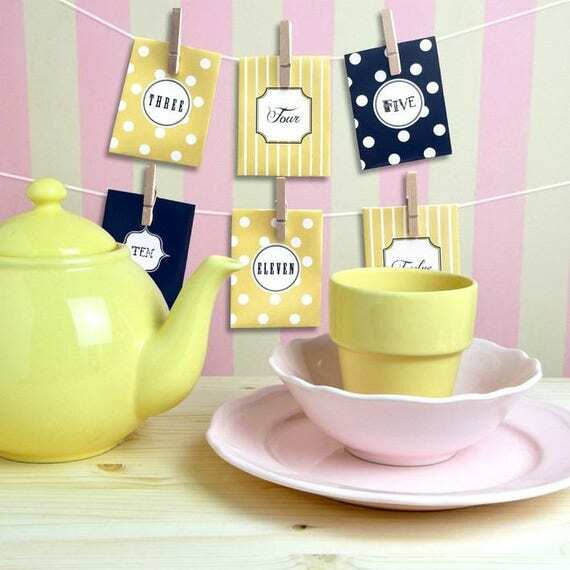 How adorable is this tea advent calendar! 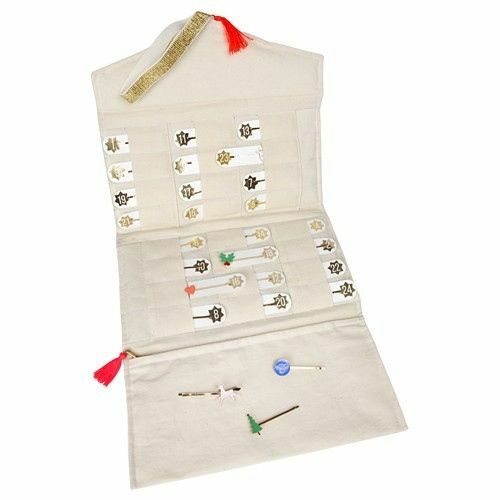 This is a handmade Advent Calendar that has a different brew every day wrapped in delightful wrapping with the pegs and string included. Perfect for a girlfriend, Mum or Nanna. Squeeeeee Christmas isn’t far away now!!! We will be adding new Advent Calendars as we find awesome ones that you might like!! !